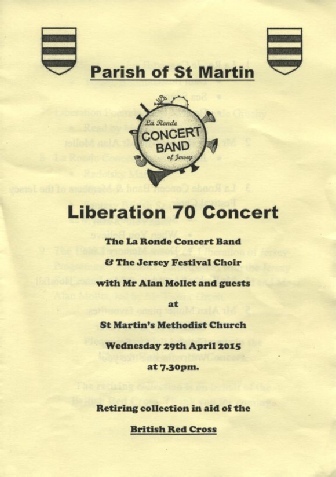 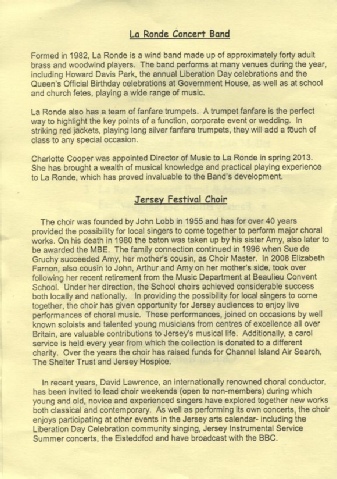 This concert was performed with La Ronde Concert Band, Mr. Alan Mollet and guests. 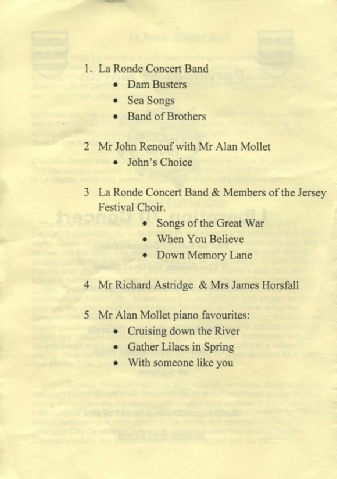 The programme for the night can be seen below. 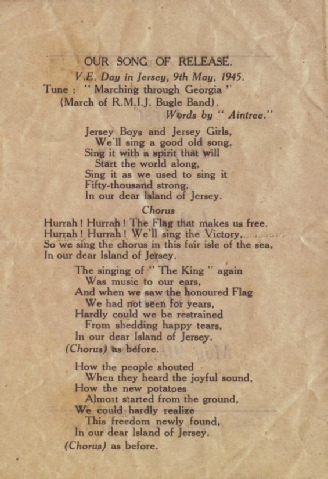 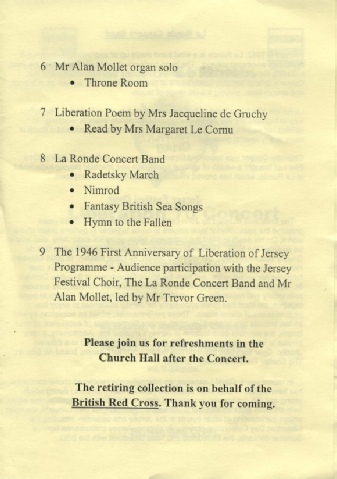 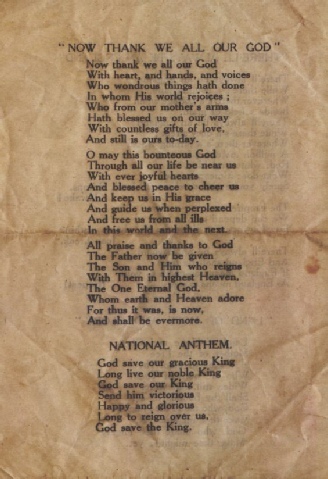 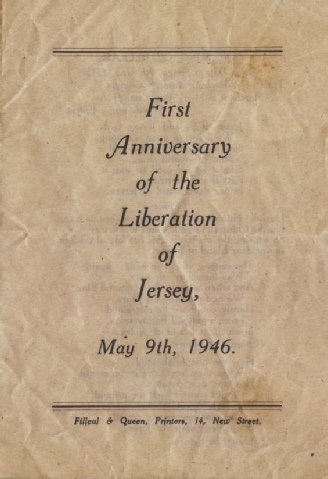 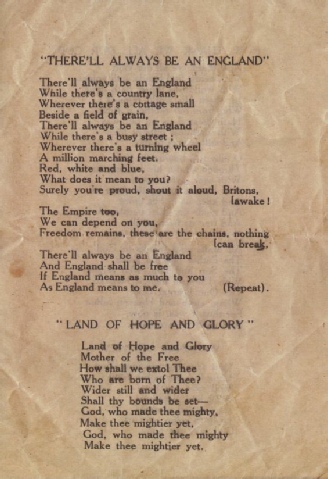 The songsheet for the Community singing used the programme from the First Anniversary of the Liberation which can be seen below.